Homework Help is a time for students to complete their schoolwork, get additional tutoring in a subject they find challenging, or just have an adult look over their homework. It is available to all Snider Hockey students, and is designed both to help struggling students, and give our high flyers the opportunity to achieve even more. These “drop in” sessions are provided at the rinks to make academic assistance easily accessible to all our students. 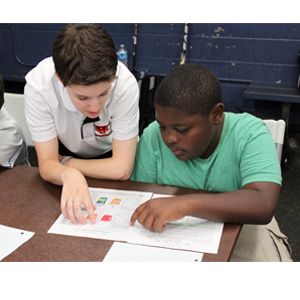 Snider Hockey has additional supports for students who are struggling in a core subject. Students in grades 6-12 who fail a core subject are at an increased risk for dropping out of high school. To address this issue, and help students get back on track, Snider Hockey assigns every participant who receives a D or an F to Required Tutoring. Attendance at Required Tutoring is used to determine a student’s eligibility for games each week. Failure to attend tutoring lands students on the No Fly list. Every student starts fresh each week, and can earn back game eligibility by attending. A reading and literacy initiative open to all participants, but specifically designed to help students in grades PK-3 who are behind in reading level. Snider Hockey students stay after practice or come early to read with a Big Buddy: a coach, adult volunteer or older Snider Hockey student. 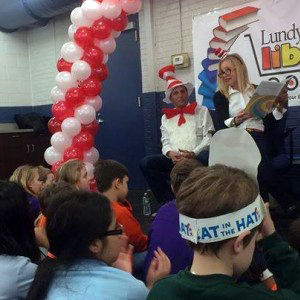 In addition to helping Little Buddies practice their reading skills, the Reading Buddies program promotes literacy and builds excitement around reading. 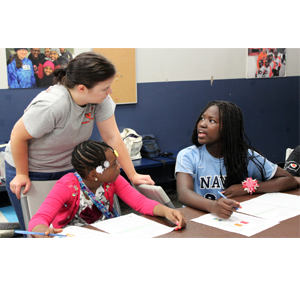 The Academic All Star program was developed to promote academic achievement and excellence. Similar to the Honor Roll, Snider Hockey Academic All Stars have all A’s and B’s, no attendance issues, and no negative behavior marks. 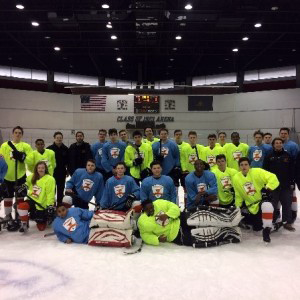 Snider Hockey works to celebrate the hard work of these individuals both on and off the ice. To reward these students for their academic achievement, an annual Academic All Star Game and Skill Competition was established in 2013. Academic All Stars are continuously rewarded throughout the year with game tickets, invitations to special events, and other exciting opportunities.